There’s a really good reason to spend time educating yourself about upcoming automotive lighting technology if you are in the automotive market. For one, overall the automotive lighting market is expanding rapidly and overshadowing many aspects of traditional automotive aftermarket segments. In fact,the global automotive lighting market is projected to grow at a CAGR (Compound Annual Growth Rate) of 7.95% from 2015 to 2020 to reach $29.5 BILLION by 2020! What this means for yourself and anyone in the automotive lighting industry is that NOW IS THE TIME to get involved, to increase your networking connections, and educate yourself to be at the forefront of this industry! In 2016 there is one surefire way to supercharge your industry knowledge, and that’s to attend the Advanced Lighting for Automotive 2016 conference in Detroit, MI. The 2016 event is 3 days long and will include many topics of discussion including information about the IIHS Headlight Rating Program, manufacturing trends, evolution of lighting functions, NHTSA Regulations, and designing lighting systems for GEN Y, GEN X and Millennial consumers! The event is 3 days long and will include many topics of discussion including information about the IIHS Headlight Rating Program, manufacturing trends, evolution of lighting functions, NHTSA Regulations, and designing lighting systems for GEN Y, GEN X and Millennial consumers! This is just 1 of 3 days of conference topics!! There are dozens of other topics and to get the full list, please click the link below that says “Download Full Schedule and Agenda” below. The event is 3 days long and will include many top-tier industry experts including Martin Davis of GM, Terrence Wilson of Ford, Mike Nicholas of Chrysler and many others! These are just a small handful of the speakers that will be at the event. Use this coupon to get a discount on your registration! Click the link for registration below, and use this coupon code to save yourself a lot of money. What will I Learn at the Advanced Lighting for Automotive Conference 2016? What speakers will be at Advanced Lighting for Automotive Conference 2016? The global automotive lighting market is projected to grow at a CAGR (Compound Annual Growth Rate) of 7.95% from 2015 to 2020 to reach $29.5 BILLION by 2020! What this means for yourself and anyone in the automotive lighting industry is that NOW IS THE TIME to get involved, to increase your networking connections, and educate yourself to be at the forefront of this industry! In 2016 there is one surefire way to supercharge your industry knowledge, and that’s to attend the Advanced Lighting for Automotive 2016 conference in Detroit, MI. Nick Roberts, driver of car #202 – a 2013 Subaru STi Super Production rally car, has been a member of the GTR Lighting sponsorship family since 2012 – the first year Nick entered rally! Nick Roberts Global Rally Team travels the United States competing in the Rally America Championship. He competes against the clock on closed-off sections of real roads that are usually unpaved and unforgiving. (ie. Gravel logging roads, mountain passes, well groomed forest roads) Events can last several days and cover hundreds of miles through rain, snow, day or night. This extreme test of skill, speed and endurance is what makes rally racing the world’s premiere and most exciting motor sport, one that is quickly growing in North America. 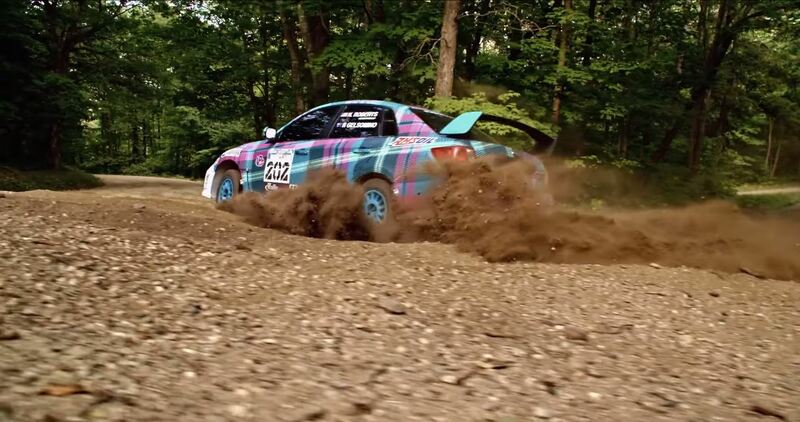 Check out this amazing video to get a feel for who Nick Roberts is and what rally events are. Most Jeep enthusiasts know what types of LED headlights are available for their vehicle, and arguably the most popular option in recent years has been the JW Speaker model 8700 LED Headlight. This model of the available Jeep headlight options has the most futuristic and unique look, and the best light output of any other 7″ round LED Headlight on the market, so it’s no wonder that they are the most popular. Because it has become such a popular product in the Jeep community, it’s no wonder it has caught the eye of Jeep corporate. At last year’s SEMA show (2013) the Mopar booth had Truck-Lite LED headlights branded with the Jeep logo. Now in 2014 at the Jeep booth they have JW Speaker 8700 LED headlights, factory equipped with H13 connectors, and the Jeep logo branded on the inner bezel. Why does Jeep keep debuting different LED headlights at their booth with the Jeep logo? My guess is they are just feeling the water for the market, throwing options at the wall to see what sticks and to see what people like. Here you can see a set of JW Speaker 8700 LED headlights, branded with the Jeep logo hanging up in the Jeep display booth at SEMA 2014. Here you can see the “JEEP” logo embossed on the black inner bezel of this older style JW Speaker 8700 LED headlight. The Jeep branded JW Speaker 8700 LED headlights actually come with an H13 connector to be plug and play for the Jeep application. Normally this headlight (when purchased in the aftermarket) would come with an H4 connector for universal application. Here’s a Jeep in the SEMA Jeep booth sporting the JEEP branded LED Headlights, made by JW Speaker. If you like the sound of a Jeep with LED Headlights, you can get your own at Headlight Revolution here. All you need is the JW Speaker 8700 and the adapter harnesses.